MATES In Construction CEO Jorgen Gullestrup has welcomed the Queensland Government’s recent announcement of $1 million in renewed funding, saying the support would help the fight to save lives across the state. 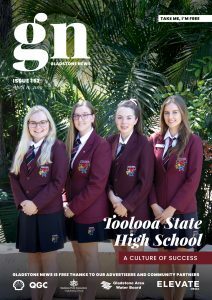 Mr Gullestrup spoke to Gladstone News about the programs the charity offers free of charge to businesses in the mining, energy, construction and building industry. Mr Gullestrup said the Queensland Government had long understood the importance of suicide prevention programs in the construction industry and had invested in supporting construction workers. “This $1 million, 12-month commitment from the Queensland Government will help us expand our programs to more workers on more building sites, particularly in regional and rural areas,” Mr Gullestrup said. “Sadly, the rate of suicide in the building and construction industry is between two and three times that of the general community, and in Queensland, the average age of suicide for construction workers is just 36. “In our ten years working in Queensland, MATES in Construction has trained nearly 77,000 people in recognising colleagues who need help and knowing how to help them.